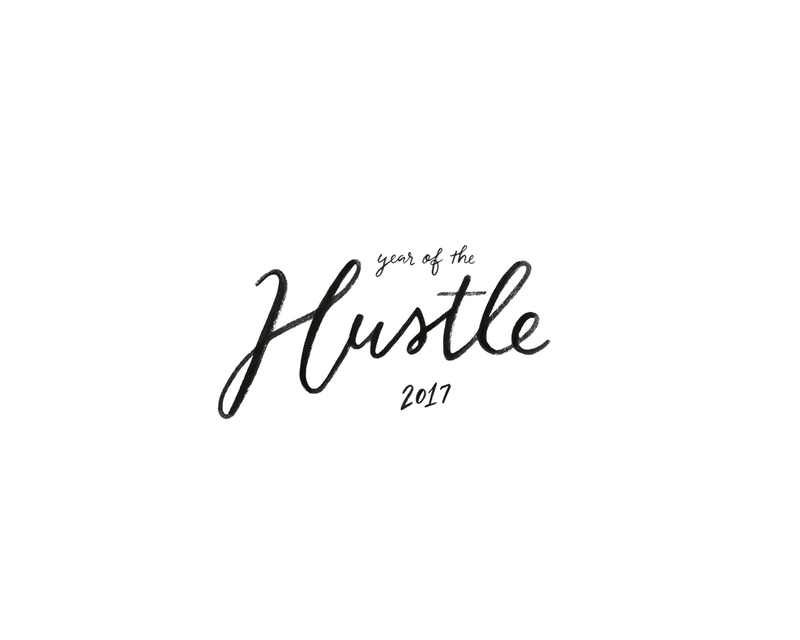 2017: Year Of The Hustle. Happy New Year! I mentioned in my last post how much I love celebrating the New Year; it’s an amazing feeling to start with a clean slate and to be able to see all of the opportunities that lie ahead. This year though feels a bit different! 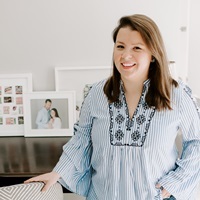 The normal surge of energy I typically feel from the new year, full of possibilities and fresh calendar pages, is not quite as present at 39 weeks pregnant as it has been in the past. In fact, my biggest accomplishment in the first two days of the year has been successfully getting my socks and shoes on in the morning! But I’m doing my best to use this quiet time before the baby’s arrival to capitalize on the start of the year by reflecting on 2016, gathering inspiration and clarity for 2017, and attempting (slowly!) to get things organized for a productive new year. One of my favorite New Year’s traditions has become sending out cards to clients, collaborators, and some of my favorite “internet friends” that have supported me or worked with me throughout the previous year. Scheming up my annual snail-mail surprise is so fun. This year I worked with my friend Julie at Posh and Prep to design a mini-print to pin up at our desks as a reminder that hard work is the key to making our January resolutions, goals, and ideas come to life. I know that I’m going to have to be understanding and kind with myself in the next few months with a newborn coming into our lives, but I also know that 2017 is going to be a big year for me and this blog and our family. It’s going to take patience (hoping 2017 is the year I can find some of that! ), it’s going to take organization (luckily that’s one of my specialities! ), and it’s going to take a whole lot of hustle to juggle all of the moving parts of this new chapter. 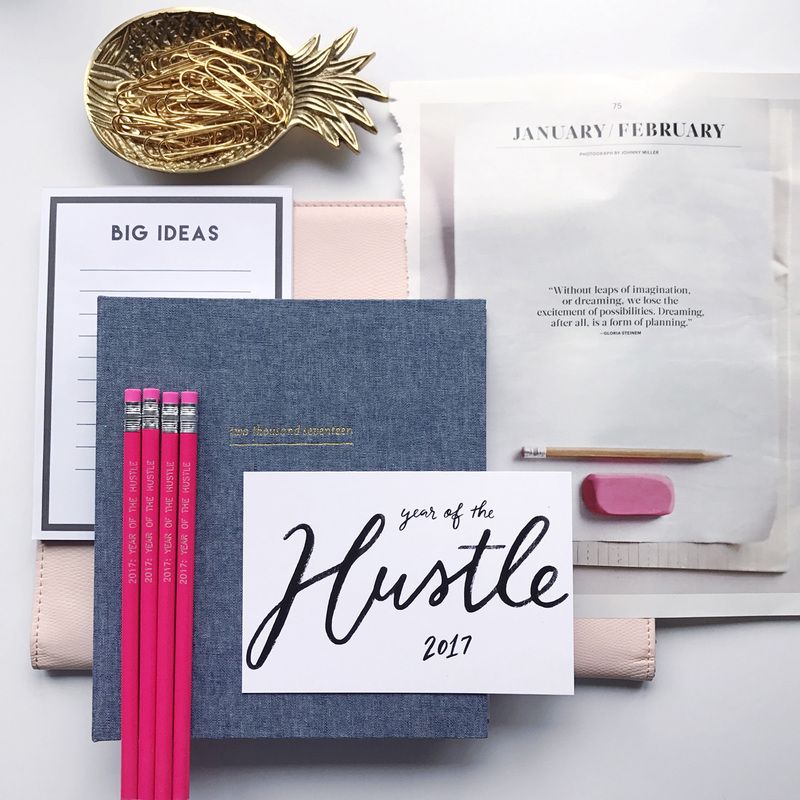 As always, I wish I could send out one of these cards and my hustle-inspired pencils to every single follower and reader, but since I can’t, Julie made a downloadable version of the print that you can use as a new desktop background to get you focused and motivated for the New Year too! Happy New Year friends, let’s make this one the best year yet! Last-Minute New Year’s Eve Party Supplies. Nursery Reveal.